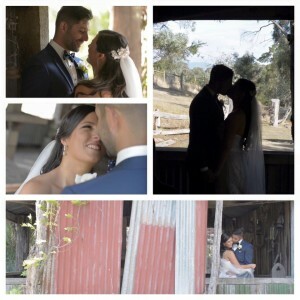 Samantha + Christopher were married at the stunning Inglewood Estate in Kangaroo Ground in February 2016. Inglewood offers couples an all-in-one option for their wedding. Inglewood has the chapel, magnificent gardens for photos as well as a beautiful building for the reception. We arrived at the preps to find Sam + Chris’ apartment full of photos and little details that help us to tell their story. Sam was getting ready at her mum’s house and the lighting was gorgeous for the preps shoot. 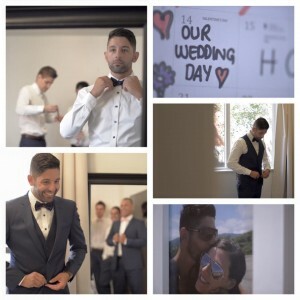 We sat with Sam and Chris to uncover some of their thoughts about the wedding day, each other and the proposal. The proposal was just gold and it became a key part of the their Feature. We worked alongside the talented Emma Wise Photography who we have had the pleasure of working with on numerous occasions. Susan Daff officiated the wedding in the chapel and being a summers day it did get a little warm under the collar for the boys. The ceremony was followed by ice-cream from Bianco Latte to cool everyone off and it was a hit with both kids and adults (and videographers). Sam + Chris were so easy to film. When we meet with couples we tell them to try and ignore us during the photoshoot and pretend we are not there. Sam + Chris did an awesome job of ignoring us (haha) and the results are evident in their Feature as it looks both intimate and natural because it was. The reception followed with music from the talented boys at Stand Clear. There was no shortage of audio content for us to use in the Feature and Chris’ speech was simply amazing. Sam + Chris performed a choreographed wedding waltz and the night was capped off with Chris surprising Sam by serenading her with a song her had been working on. 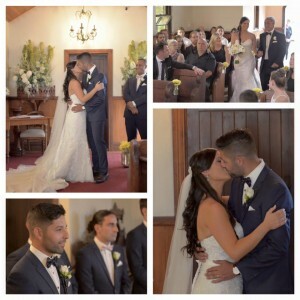 Please enjoy their Feature below as well as a selection of the frames from their wedding day.